Thankfully everyone made it in one piece. Yesterday, we took Helina aboard Bull's Eye for the first time. 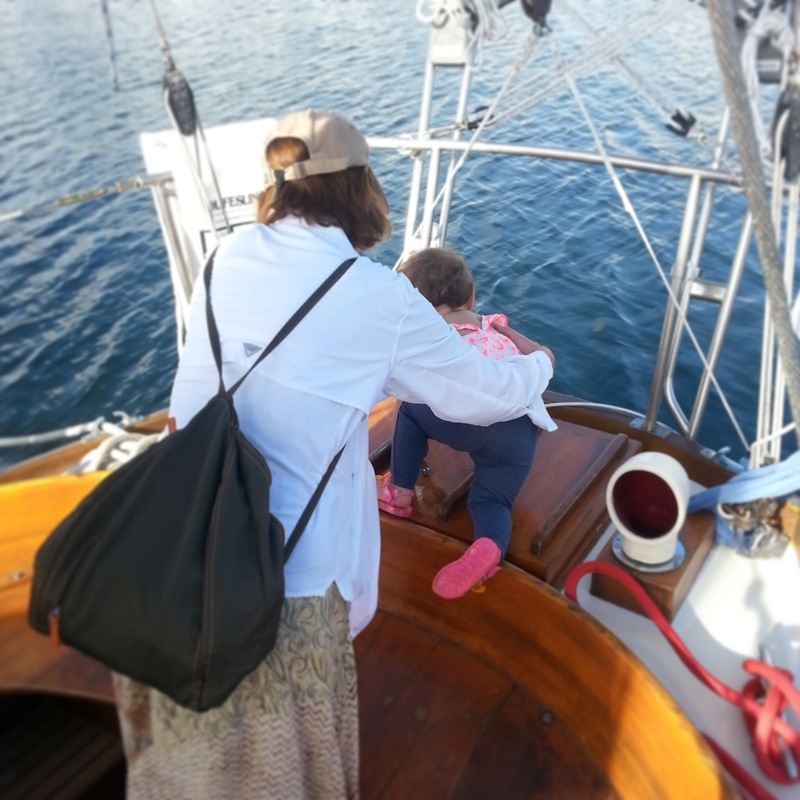 Not only was it her first time aboard my parents' sailboat, it was her fist time being aboard another sailboat, period. Being with her on board a different boat made me appreciate how much effort we have put into child-proofing ours. For the most part, the interior of my parents' boat is just as safe as our boat, but while attempting to board my parents' boat, I had flashbacks to our pre-Helina days of boarding Sea Gem. In order to get Helina aboard their boat, Eric and I ended up having to rely on our beloved technique, "Dangle Dog" (and let's just say that dogs dangle much more naturally and compliantly than do little tots). 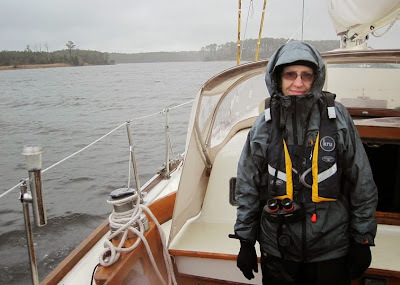 Then, as soon as we were safely on board, Helina made a beeline for the helm, then fearlessly crawled onto the aft-deck (which caused her mother and grandmother to nearly faint). Needless to say, our little captain is going to be spending her time aboard Sea Gem, not Bull's Eye. 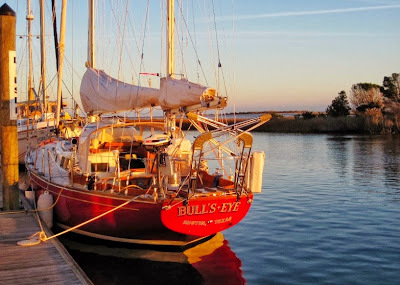 Although it is true that my parents' boat is rigged and ready for open water, our boat is equipped for something much more unpredictable--our daughter.